In the midst of the hectic metropolis Marrakech, there is an Eden-like garden restored by Yves Saint Laurent. A fabulous ensemble of plants, colors and materials, this fascinating oasis will enchant you as a great place to relax. Jardin Majorelle is one of but few sights in Marrakech that are not located in the Medina, but in the quarter Guéliz. The garden is famous for its china blue that goes back to the French Jacques Majorelle, who created this little paradise in 1923. The pavilion, the water basin and many planters along the red, tadelakt-plastered lanes shine in this distinctive color. The ensemble is completed by a third dominating color: a strong shade of yellow. 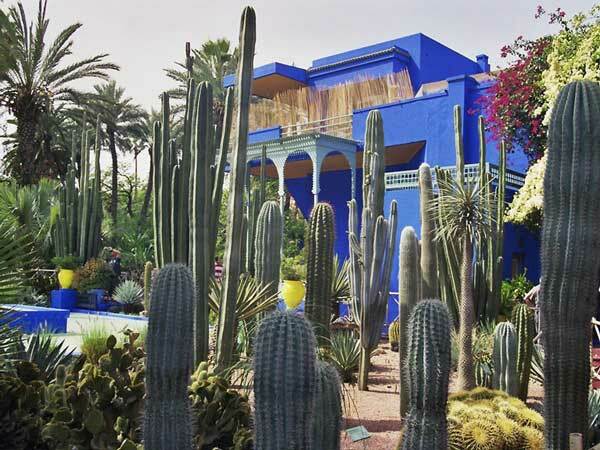 Once you have been there, you may not be surprised at the fact that the colorful Jardin Majorelle is one of the most photographed attractions of Marrakech. 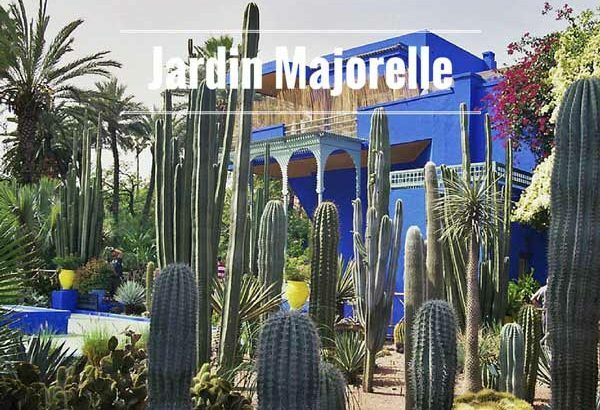 More than 300 plant species from all five continents grow in the Jardin Majorelle – the palm trees and the astonishingly tall cacti are especially impressive. As soon as you have entered the area, you will feel as if you have stepped into a different world that has nothing in common with the bustle of the dusty city beyond the walls. The refreshing shade of the many plants provides a comfortable microclimate. The temperature is mild, due to the burbling streams and pools of water that invite you to rest and linger on one of the small benches you can find everywhere. The heart of the garden is a cobalt blue basin with a waterspout fountain where some turtles have found their home. Next to it, there is a two-storey pavilion, lightly alluding to Art Deco. 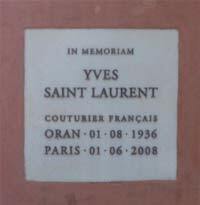 A memorial stone for the French fashion designer Yves Saint Laurent can be found in the back of the garden. 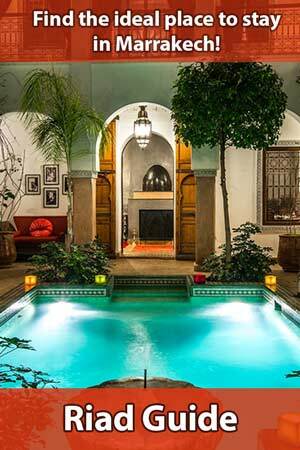 Marrakech had been a second home to Saint Laurent. He played a major role in saving the Jardin Majorelle, for he and his partner Pierre Bergé bought the neglected garden in 1980 and restored it to its old resplendence. 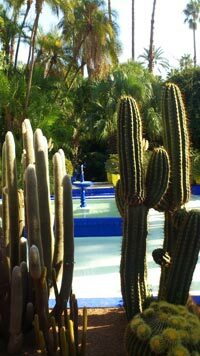 In 1997, they founded The Majorelle Trust to assure the lasting preservation of the Jardin Majorelle. Today, it is maintained by twenty workers. 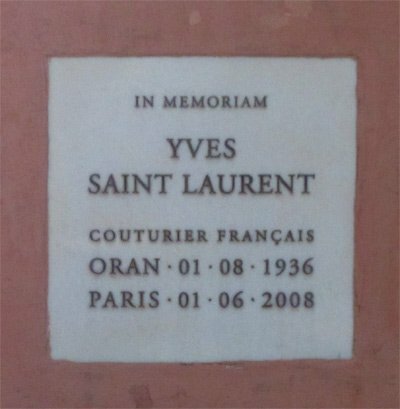 Paintings by Yves Saint Laurent are on display in a small show room on the property. In addition, there is a small museum with Islamic art, folkloristic exhibits and paintings by Jacques Majorelle – the original creator of the garden that is visited by about 600,000 people per year today. No stay in Marrakech is complete without a visit to the Jardin Majorelle. It is just the right place to take two hours off and relax. The museum in the garden is rather small and unspectacular. However, if you don’t have the chance to see a comprehensive exposition of Moroccan handicraft and traditional jewelry or garments in one of the museums with bigger collections, you should visit this museum. You find the Jardin Majorelle close to the Avenue Yacoub el-Mansour in the northeast of Bab Doukkala. 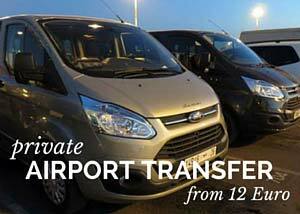 From the bus terminal, walk north to Boulevard Allal Al-Fassi and turn left. 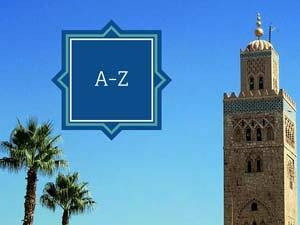 Of course, you can also go by bus (get off at Boukar Majorelle) or in a Petit Taxi, because there is hardly anything else worth seeing in Guéliz. October 1 to April 30: 08:00 a.m. – 05.30 p.m.
May 1 to September 30: 08:00 a.m. – 06:00 p.m.
during Ramadan: 09:00 a.m. – 05:00 a.m.